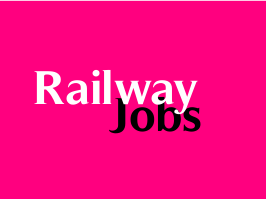 Eastern Railway (ER) invites Applications from Outstanding Sports Persons for Recruitment against Sports Quota of Headquarters, Divisions (Howrah, Sealdah, Asansol & Malda) & Workshops (Liluah, Kanchrapara & Jamalpur) for the Year 2015-2016. The closing date for receipt of applications is 16th December 2015. Category (1) : Minimum Degree from a recognized University or its equivalent. Category (2) : Minimum pass 12th Class (+2 Stage) AND/OR Passed out Act Apprenticeship/ITI. No other qualification including Diploma in Engineering/BE will be accepted as an alternative qualification. Act Apprenticeship/ITI certificate must be approved by SCVT/NCVT. Category (3) : Minimum 10th pass or ITI or equivalent or National Apprenticeship Certificate (NAC). For Category (1) : Represented the country in Olympic Games (Senior Category) or secured at least 3rd position in World Cup (Junior/Senior Category) or World Championships (Junior/Senior Category) or Asian Games (Senior Category) or Commonwealth Games (Senior Category). For Category (2) : Represented the Country in World Cup (Junior/Senior Category) or World Championships (Junior/Senior Category) or Asian Games (Senior Category) or Commonwealth Games (Senior Category) OR at least 3rd position in Commonwealth Championships (Junior/Senior Category) or Asian Championships/Asia Cup (Junior/Senior Category) or South Asian Federation (SAF) Games (Senior Category) or USIC (World Railway) Championships (Senior Category) OR at least 3rd position in Senior/Youth/Junior National Championships or at least 3rd position in National Games organized under the aegis of Indian Olympic Association OR at least 3rd position in All India Inter University Championships organized under the aegis of Association of Indian Universities or 1st position in the Federation Cup Championships (Senior Category). Category (3) : Represented the Country in Commonwealth Championships (Junior/Senior Category) or Asian Championships/Asia Cup (Junior/Senior Category) or South Asian Federation (SAF) Games (Senior Category) or USIC (World Railway) Championships (Senior Category) OR at least 3rd position in Federation Cup Championships (Senior Category) OR Represented State or equivalent unit, except in marathon and cross country, in Senior/Youth/Junior National Championships OR at least 3rd position in Senior State Championships for All Units and Districts of the State. Selection Process: The selection will be conducted through Trial and Interview. Application Fee: ₹ 100/- only is payable either in form of Demand Draft(DD) drawn in favour of "FA&CAO,Eastern Railway, Kolkata" or Indian Postal Order (IPO) payable only at GPO / Kolkata, drawn in favour of "FA&CAO,Eastern Railway, Kolkata". How to Apply: Two self-addressed envelopes (11" X 5") should be sent along with the application. Attested Caste Certificates (from appropriate Civil Authorities in standard proforma with Photograph) should be enclosed. The Last date of receipt of application is 16/12/2015 up to 17.30 hrs. (For candidates residing abroad and Assam, Meghalaya, Arunachal Pradesh, Mizoram, Manipur, Nagaland, Tripura, Sikkim, Jammu & Kashmir, Lahaul & Spiti districts and Pangi Sub Division of Chamba District of Himachal Pradesh, Andaman & Nicobar and Lakshadweep Islands: the closing date and time is 31/12/2015 at 17:30 Hours). For Category (1) and Category (2) Posts : Separate application as per prescribed format to be sent in a closed envelope superscribed 'APPLICATION FOR SPORTS QUOTA RECRUITMENT' by post to the Chief Personnel Officer, Eastern Railway Headquarters, Eastern Railway Sports Association (ERSA) Office, 17, Netaji Subhas Road, Fairlie Place, Kolkata-700001 OR to be dropped in the box placed at ground floor in front of the Eastern Railway Sports Association (ERSA) Office at the said address during office hours except Saturdays, Sundays and Holidays. For Category (3) Posts : Separate application may be submitted according to the choice (Headquarters or Divisions or Workshops) as per prescribed application format. Application should be submitted in a closed envelope superscribed 'APPLICATION FOR SPORTS QUOTA RECRUITMENT' by post. Application for Eastern Railway Headquarters should be sent to the Chief Personnel Officer, Eastern Railway Headquarters, Eastern Railway Sports Association (ERSA), 17, Netaji Subhas Road, Fairlie Place, Kolkata-700001. (g) JAMALPUR WORKSHOP : Chief Works Manager, Eastern Railway, C & W Workshop, Liluah, Howrah-711204, West Bengal or to be dropped in the box placed in the respective offices at the addresses mentioned above during office hours except Saturdays, Sundays and Holidays.